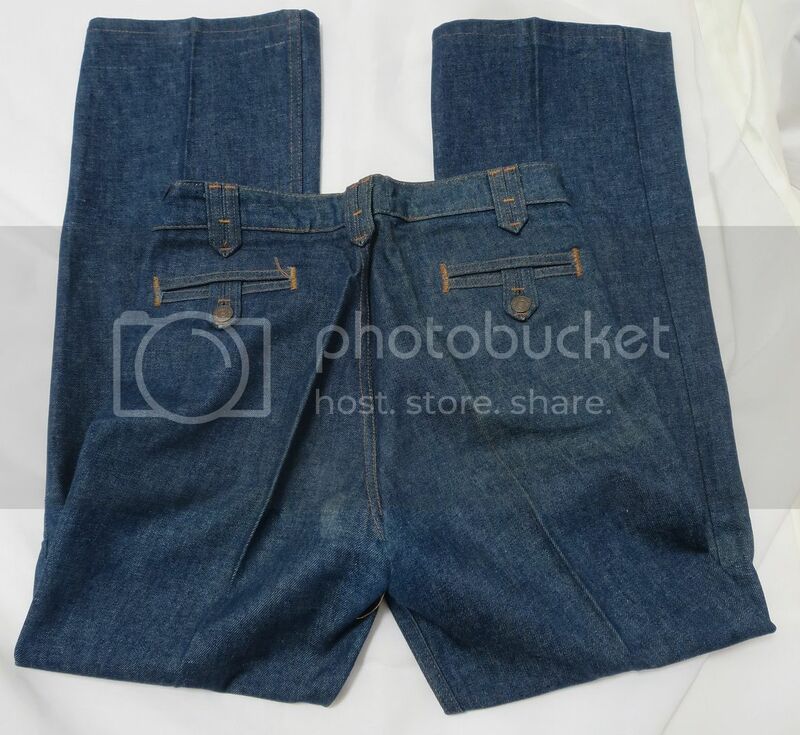 Quote Reply Topic: Help Identifying Levi's, Feather Tag? I don't know what to make of this, I can barely make out a measurement of 30 x 31 but not much else. 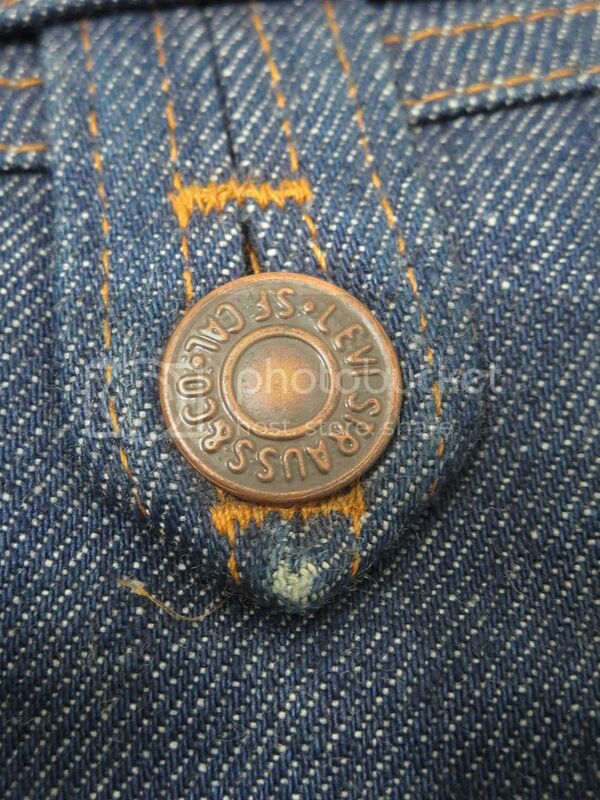 Levi's marked buttons, still smells like raw indigo, and it's been stored for quite a while. Does anyone know what this is? 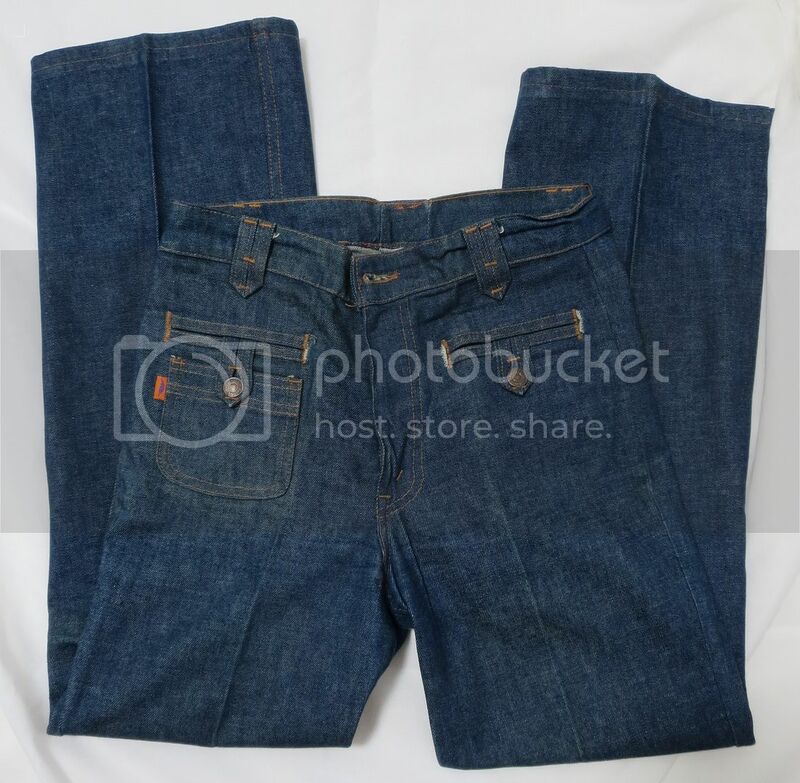 looks like some kind of bush pant (front patch pockets) from the late 70s or early 80s if I had to guess. 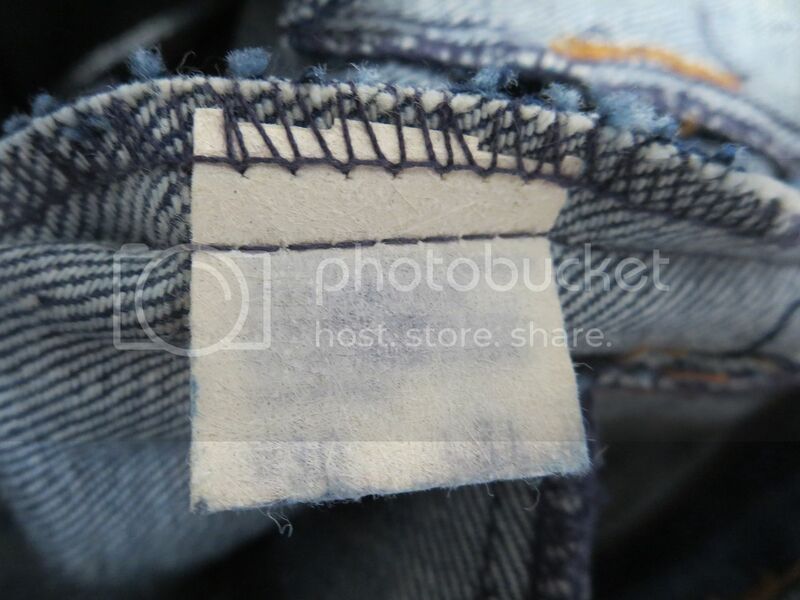 Really cool back pocket tab. Would love to hear more about it, hopefully someone here can shed some light on it. I believe this is the "Fresh Produce" era. 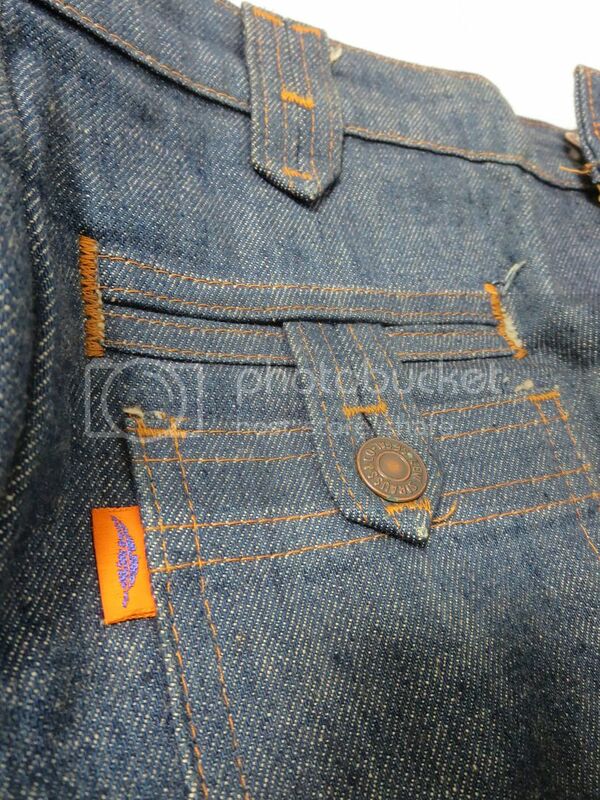 these look like european levi´s, made in france, belgium or uk... have some old bells, showing the same care tags. but never saw thr feather. thanks for sharing.